RV1 – Hradicí přístroj s manometrem je rozšiřující příslušenství CCT-M modulárních cylindrokónických tanků. Hradicí přístroj s manometrem je nutná výbava tanků pro řízené kvašení – zařízení pro sledování průběhu kvašení (kvasná zátka s kelímkem), pro nastavení požadovaného přetlaku v tanku a pro sledování skutečného přetlaku v tanku. Připojuje se spojením TriClamp DN25 na boční sanitační armaturu CS2. 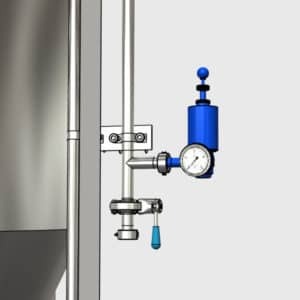 MTS-RV2-DN40DC Adjustable pressure valve with manometer and fermentation lock DN40 DC is an extension equipment to the monitoring of current pressure and setting of required pressure in the tank. Also the fermentation lock is included in this part to visual monitoring of the fermenting process in the tank. Connection : Upper connection (to CS2 pipe) DIN 11851 Dairy Coupling DN 40/ NW 40. 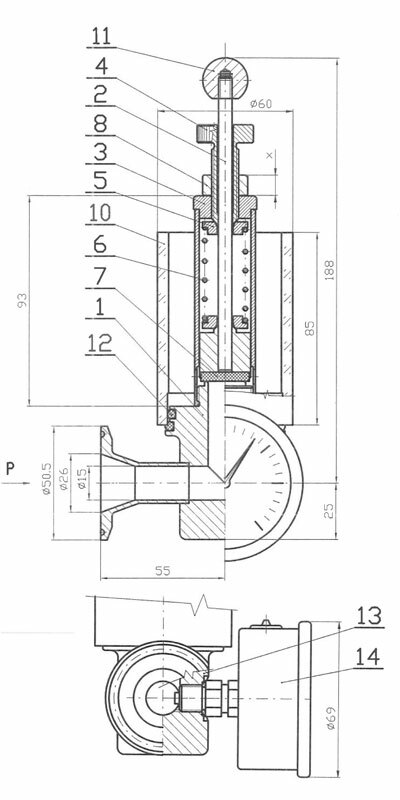 Adjustable pressure in the tank from 0bar to 3.0bar using the regulation screw with the spring. 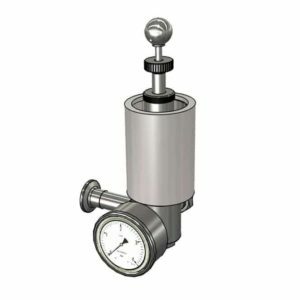 MTS-RV2-DN32DC Adjustable pressure valve with manometer and fermentation lock DN32 DC is an extension equipment to the monitoring of current pressure and setting of required pressure in the tank. 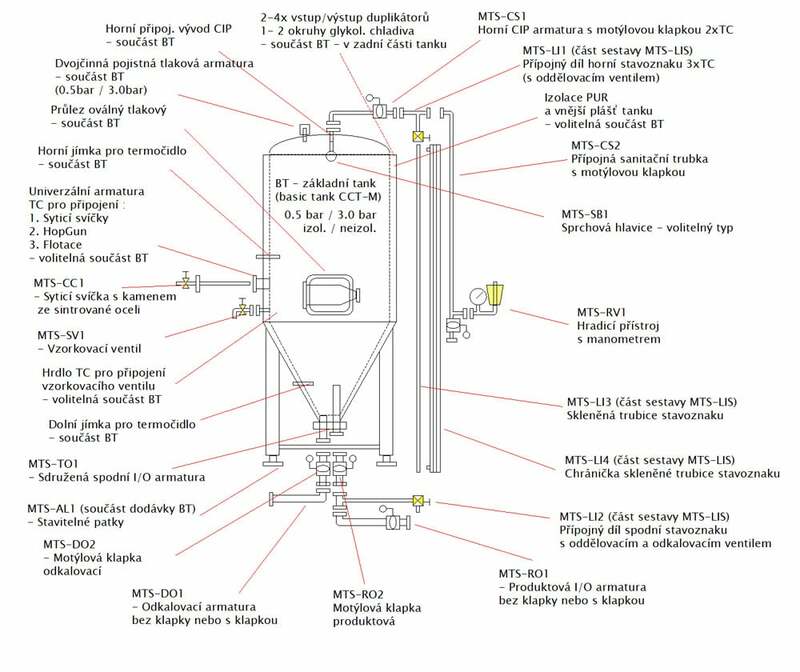 Also the fermentation lock is included in this part to visual monitoring of the fermenting process in the tank. Connection : Upper connection (to CS2 pipe) DIN 11851 Dairy Coupling DN 32 / NW 32. 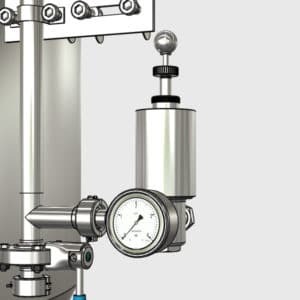 Adjustable pressure in the tank from 0bar to 3.0bar using the regulation screw with the spring. 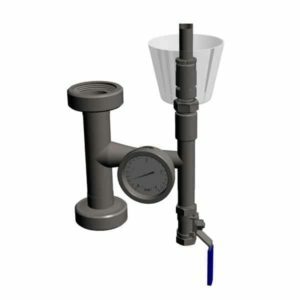 MTS-RV2-DN25DC Adjustable pressure valve with manometer and fermentation lock DN25 DC is an extension equipment to the monitoring of current pressure and setting of required pressure in the tank. Also the fermentation lock is included in this part to visual monitoring of the fermenting process in the tank. Connection : Upper connection (to CS2 pipe) DIN 11851 Dairy Coupling DN 25 / NW 25. 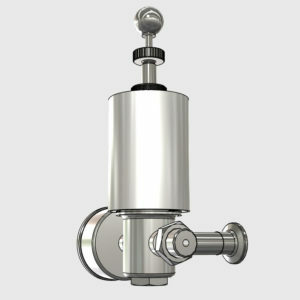 Adjustable pressure in the tank from 0bar to 3.0bar using the regulation screw with the spring.